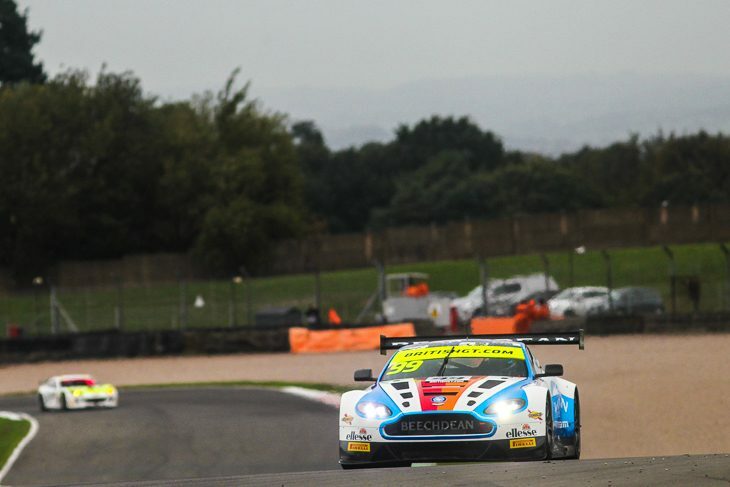 An Aston Martin was once again fastest in British GT’s second Donington free-practice session, but this time it was Darren Turner in the #99 Beechdean entry that topped the times. He set a 1:27.111 to go faster than second-place man Nicki Thiim in the #11 TF Sport Vantage, who went round in 1:27.755. Jonny Cocker in the #69 Barwell Motorsport Lamborghini broke the Aston top three stranglehold by going third courtesy of a 1:27.854. Yelmer Buurman, Phil Keen and Marco Sorensen completed the top six in the ERC Mercedes, Barwell Lamborghini and TF Sport Aston Martin. In GT4, Dean Macdonald set the quickest time in the #43 Century BMW, ahead of Matt Nicoll-Jones in the #62 Academy Motorsport Aston, ahead of Finlay Hutchison in the #10 Equipe Verschuur McLaren. 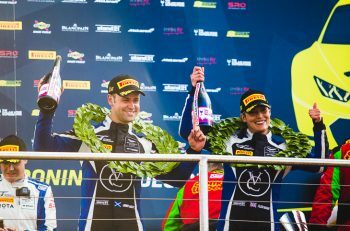 Team Parker Mercedes’ Scott Malvern, HHC Ginetta’s Patrik Matthiesen and Cicely Motorsport’s Adam Morgan filled out the top six. 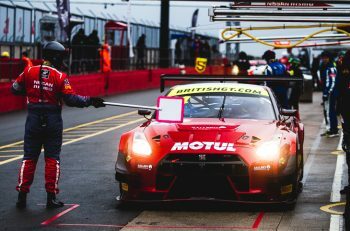 Again there were no red flags or serious incidents in the session, although rain began to fall quite heavily in the final minutes of running.